Q. What do you want people to know about the Every Student Succeeds Act meetings across the state? Q. What is your vision for Hawai‘i’s public education system? A. My vision is future-focused because we know that many of the top jobs today didn’t exist 10 years ago. I’m a proud graduate of Pearl City High School and have seen our students compete nationally and globally and win. We need to ensure that all of our students have the opportunity and skills to compete with anyone in the world. I know that our public school system can be the best in the country, but we need to empower those closest to the children to make the best decisions. It’s really about being change agents, to give our students the opportunities to succeed. Q. 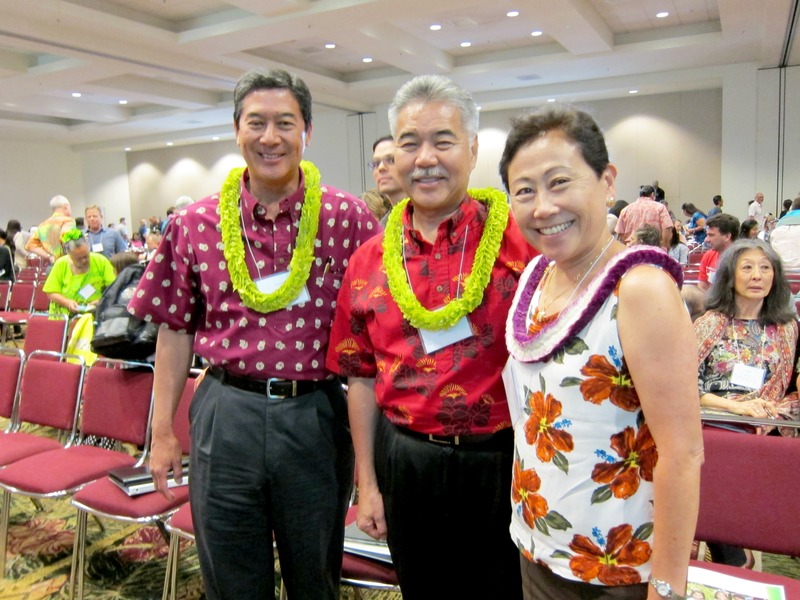 Speaking of change agents, why is the IUCN World Conservation Congress so important for Hawai‘i — locally and globally? A. This is the first time the United States is hosting the IUCN World Conservation Congress — a historic moment for Hawai‘i that showcases our leadership in protecting our environment. It acknowledges the state as a world leader in renewable energy, marine conservation, watershed protection, biosecurity and community-based initiatives. 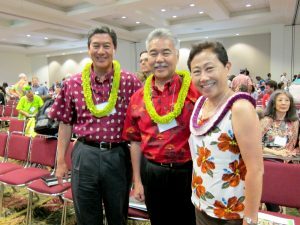 Our hope is that the community will get involved in some of the discussions and visit the exhibits at the Hawai‘i Convention Center — to learn and share ideas with others who want to take care of our islands and our planet. Photos: (horizontal tile created from 3 images) ESSA group (Gov, Lance Mizumoto and Kathy Matayoshi), IUCN logo and honu swimming.